Well, War and Peace is off to a fantastic start! While the pace of the series was brisk, I figure it needs to be in order to adapt Tolstoy’s blockbuster novel of 564 chapters, more than 2,200 pages, and 685,000 words into a 6-hour series. All the actors are doing a great job — Stephen Rea steals the show in Episode One as the Machiavellian Prince Vassily Kuragin and Paul Dano is proving himself a fitting successor to the titanic performances of Anthony Hopkins and Sergei Bondarchuk as Pierre. I loved the scenes with Jessie Buckley as Princess Maria (I’ll come right out and confess that Princess Maria is actually my favorite character in War and Peace!) and Jim Broadbent is simply brilliant as Prince Bolkonsky. 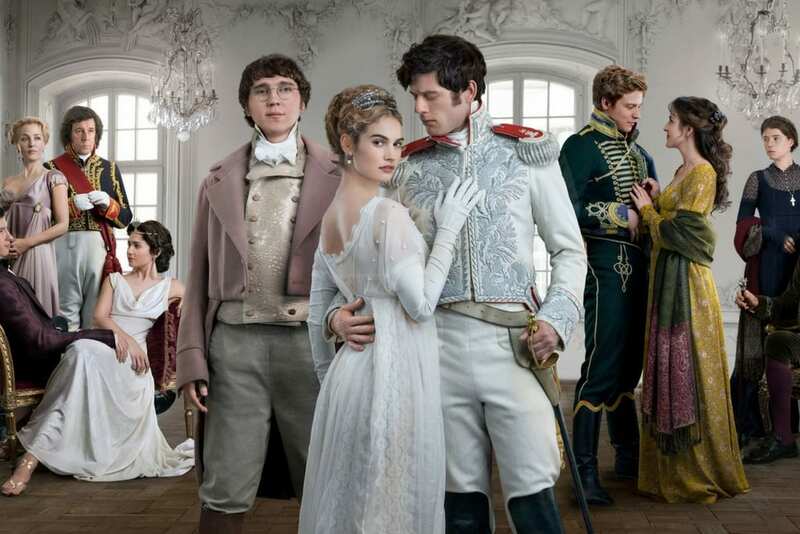 In the two romantic leads, so far I’m happy with Lily James and James Norton as Natasha Rostova and Prince Andrei and am looking forward to seeing them develop these roles in the upcoming episodes. The series is filmed primarily in Lithuania but a few scenes clearly take place in lovely St. Petersburg, so next week, I’ll put up some pictures of my beloved Venice of the North — stay tuned this, or subscribe to receive updates by email! 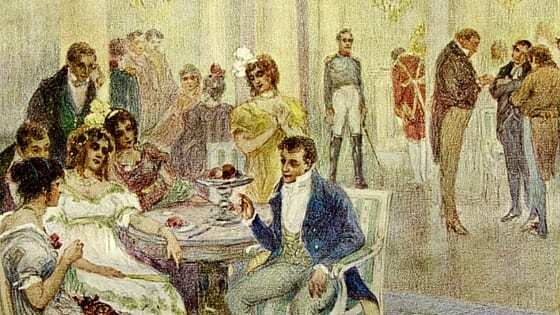 This week however, as promised, here are a handful of pithy, clever things you can say about War and Peace at your next cocktail party when talk turns to War and Peace as it inevitably will (or should) this month. Are you War or Peace? War and Peace is divided into two distinct storylines: what happens on the battlefields and what happens in the ballrooms. 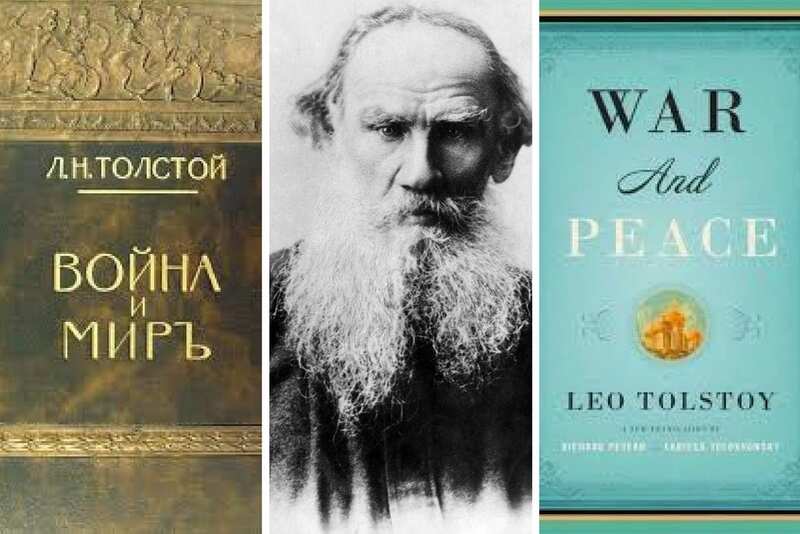 Younger readers, when they are first introduced to Tolstoy’s epic, are invariably drawn to one or the other of these worlds. For example, HRH (my “Horrible Russian Husband”) was forced to read War and Peace when he was 14, and he doesn’t yet feel up to re-reading it as he closes in on 50, despite having served as an officer in the Soviet Army in his 20s and living with me for two decades. 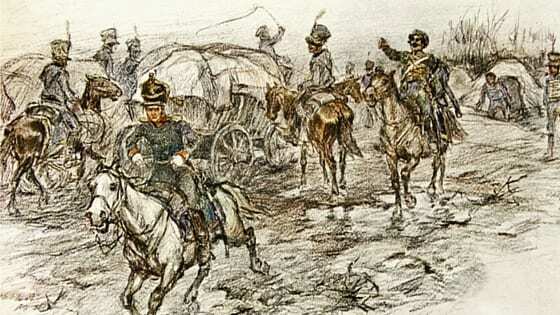 But what he does vividly remember from the novel are the battle scenes with Denisov, Nikolai Rostov, and Prince Andrei. He’s extremely vague about the home life of the Rostovs and the Bolkonskys and he hasn’t a clue who Julie Karagina is, whereas I can recite whole screeds of the “Peace” parts of the novel, but only came to appreciate the Austerlitz and Borodino chapters after I finished college. So, that’s something to consider when setting out to dazzle your fellow cocktail party revelers. Choose your audience carefully! …At the end of his life, Tolstoy deemed Dostoyevsky a better writer than he. So try those out and see how you get on! And come back here and let us know how you did! Tune in next week for a virtual tour of St. Petersburg! If you enjoy Russian history and want to learn more, why not download my FREE EBOOK history primer: Have Personality Disorder, Will Rule Russia: An Iconoclastic History by a Recovering Russophile. 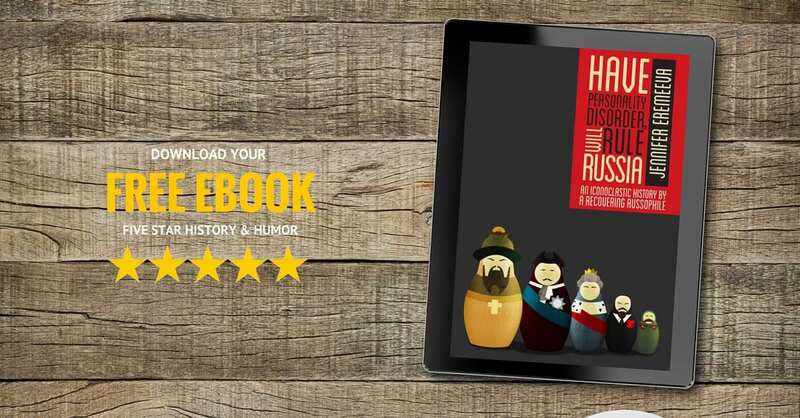 It’s a fast romp through thirteen centuries of Russia’s colorful history with an extensive reading list to help you on your way to more fantastic reading enjoyment. Readers, how are you enjoying War and Peace so far? Who is your favorite character? If you’ve seen other versions of this epic, how do you think it compares to the most recent BBC version? Join the conversation by clicking the button below and sharing your thoughts! A variation on #5: “Don’t you think that Tolstoy doesn’t give enough credit to Barclay de Tolly for his strategic insight during the 1812 campaign?” Again, might be controversial to use among Russians.